Summer 1989. 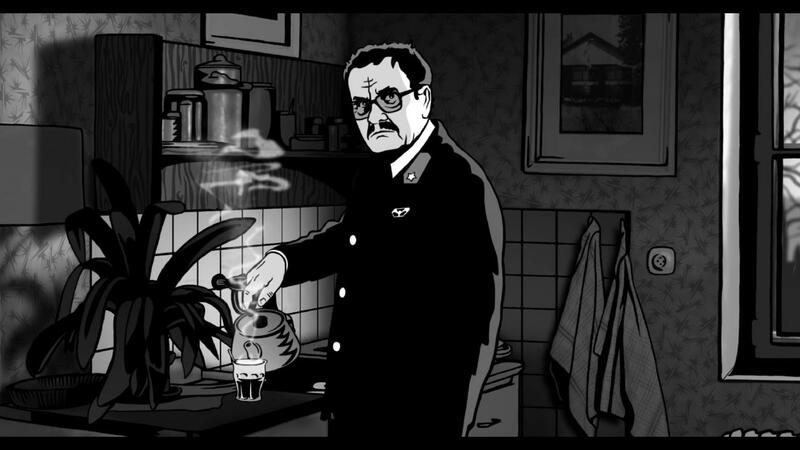 Alois Nebel, a lonely train dispatcher at a small railway station on the Czechoslovak border, lives a quiet life. Only sometimes the fog rolls in and he hallucinates, seeing ghosts and shadows from the dark times of the World War II. One day, a silent stranger appears at the station and propels Alois on the journey to resolving his nightmares. The film is an adaptation of the graphic novel Alois Nebel by Jaroslav Rudiš and Jaromír 99. Alois Nebel is the first modern graphic novel to be published in the Czech Republic. It began as a single volume, Bílý Potok, which appeared in 2003. After its initial success, two more volumes followed — Central Station and Zlaté Hory — completing a trilogy which was released as a single collection in 2006. The story is captured in raw, black-and-white drawings, illustrating contrasts between the narrative tone and history. The end of the eighties in the twentieth century. Alois Nebel works as a dispatcher at the small railway station on the Czech-Polish border. He’s a loner, who prefers old timetables to people, and he finds the loneliness of the station tranquil – except when the fog rolls in. Then he hallucinates, sees trains from the last hundred years pass through the station. They bring ghosts and shadows from the dark past of Central Europe. The feature film Alois Nebel is an adaptation of the graphic novel by Jaroslav Rudiš and Jaromír 99 combining animation and live-action. The authors have chosen rotoscoping as the visual approach for the film in order to remain true to the style of the original comic book.